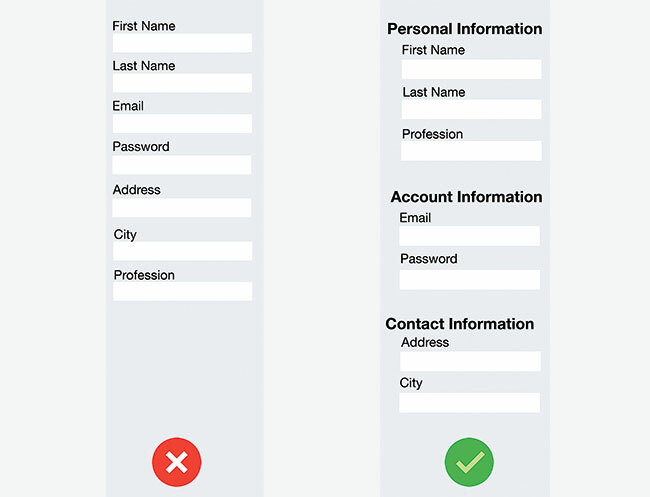 Discover some solutions to help you design forms that won’t drive your users away. Despite the evolution of human-computer interaction, forms still remain one of the most important types of interaction for users. People who use your application or site have a particular goal, and often the one thing standing between the user and their goal is a form. Every day, we use them for our essential activities – to complete purchases, to sign up for social networks, to provide feedback on a product we’ve bought, and more. As a result, it’s very important for us to be able to complete online forms quickly and without confusion. The less effort a digital agency has to spend, the happier we are. As freelance web designers and freelance web developers, we should strive to produce faster, easier and more productive form experiences for our users. 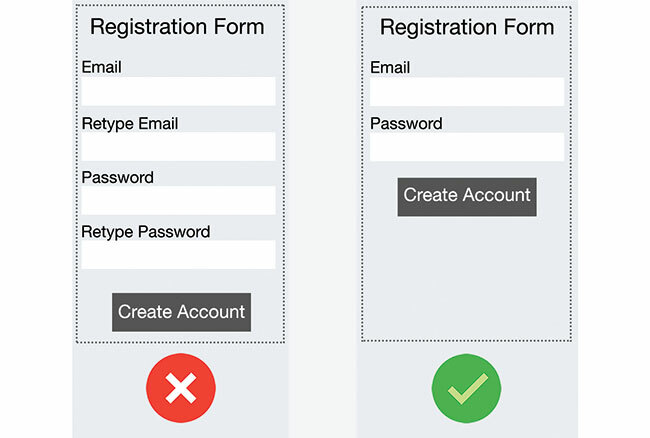 Here are my 10 tips to design forms that are user-friendly in terms of usability, designs and interactivity. It’s helpful to think of a form as being similar to a conversation. Like any normal conversation, it should be represented by a logical communication between two parties: a person and your app. Details should be asked for in an order that is logical from a user’s perspective, not that of the application or database. For example, it’s unusual to ask for someone’s address before their name. 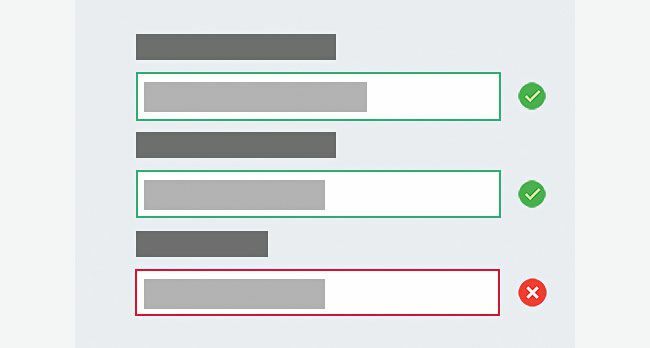 Field labels tell users what the corresponding input fields mean. Clear label text is one of the primary ways to make UIs more accessible. Labels tell the user the purpose of the field, but they aren’t help texts. Therefore, ensuring they scan easily is a priority – you should design succinct, short and descriptive labels (keep them to a word or two). You may check out our contact form as an example. This problem is particularly common for the registration forms: almost everyone has come across a form that requires you to type an email address or password twice. Historically, this was designed to prevent mistyping errors. However, most users simply copy-pasted the necessary field whenever the app allowed it. And if the original field’s data contained an error, it was duplicated. Ideally, it’s best to have no optional fields. In line with rule #1, if a piece of information is not required there’s no point in wasting a user’s time. But if you do use them, you should clearly distinguish which input fields cannot be left blank. Usually a small mark like an asterisk (*) or ‘optional’ label is enough. Avoid including a static default unless you believe a large portion of your users (e.g. 90 per cent) will select that value – particularly if it’s a required field. Why? With this approach you’re likely to introduce errors because people scan forms quickly online. Don’t assume they will take the time to parse through all the choices. They may blithely skip by something that already has a value. Only exception for this point is smart defaults – like those that preselect the user’s country based on their geolocation data – which can make completion of the form faster and more accurate. But you should still use these with caution, because users tend to leave preselected fields as they are. In an ideal world, users fill in forms with necessary information and finish their job successfully, but in the real world, people often make mistakes. It’s frustrating to go through the process of filling out an entire form only to find out at the point of submission that you’ve made an error. The right time to inform someone about the success or failure of the data they’ve provided is right after they submit the information. This is where real-time validation comes into play. It alerts users to mistakes straight away and makes it possible for them to correct them faster, without having to wait until they press the ‘Submit’ button. And remember, validation shouldn’t only tell users what they did wrong; it should also tell them what they’re doing right. This gives users more confidence to move through the form. The most common reason for forcing a fixed format is validation script limitation (the backend can’t determine the format it needs), which in most cases is an implementation problem. Rather than forcing the format of something like a phone number during user input, you should make it possible to transform whatever the user enters into the format you want to display or store.